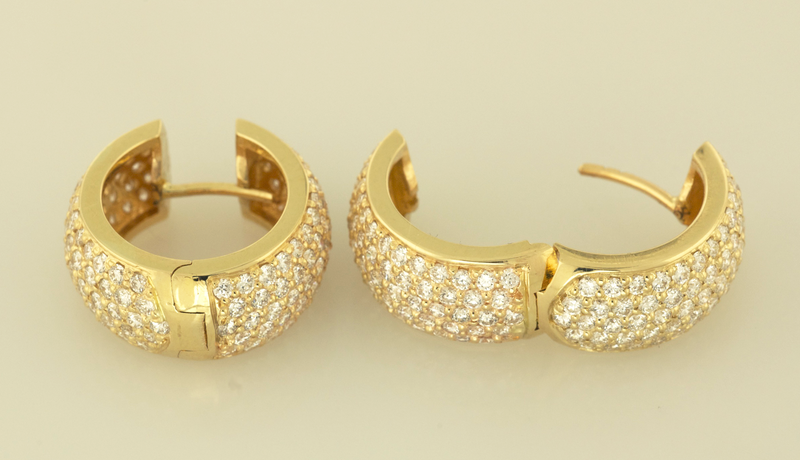 Huggy earrings, pavé set with 3.00cts. 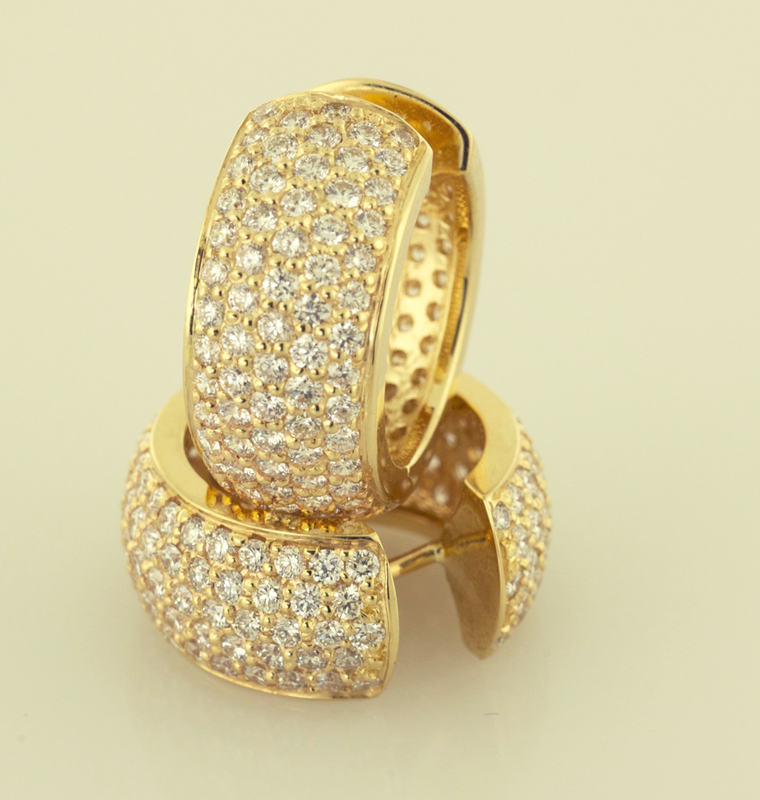 round diamonds. 18mm diameter.